Is There An Option For An Electronic Ticket (E-ticket)? Infants & Children: Do I Need To Buy A Ticket? What is an open ticket? Can I book one? Can I book an open ticket? Is there an option for electronic ticket (e-ticket) in Greek ferries? I am travelling with children and an infant; Do I get a special ferry ticket for them? If you are looking for answers in these questions then this is your page! Ferry companies, in general, have been slow at switching over to e-tickets but fortunately, some companies such as Golden Star Ferries and Aegean Speed Lines have been leading the way. If you book tickets for the aforementioned companies, you will find in your confirmation e-mail the specific links to the web check-in platforms of the ferry companies in order to get your boarding passes. In that case, you will only need to download your boarding pass on your phone, or if you’re worried about battery issues, you can print it yourself and carry it with you. For most of the other companies though, they still require the old-school “printed-on-special-paper” tickets. You can have these delivered to your door by our friendly courier service, or pick them up from our offices, from the local agent or from the ticket booths at the departure port at any time before the departure of your ferry. Each company has its own definition of infants and children. You can find more information concerning the child or infant fare here. In all cases, a ticket needs to be issued for the infant or child. In order to see the specific discount for this type of ferry tickets, you have to add an adult passenger first and then add your child or infant as a second passenger. Then, you will be able to choose the corresponding discount and the total price will be adjusted automatically. 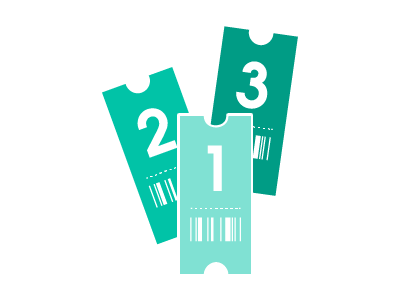 The open ticket is a ticket type that allows you to purchase a ticket without having decided on the exact travel date. As soon as you decide on your travel date, the reservation can be finalized based on the availability. Ferry companies do not allow the online purchase of open tickets. Yes, we also think they should, but until they do, all you can is call us at +30 2105236037. We are always very keen on providing special arrangements that would suit our customers' specific needs.